Electric Hand Dryers There is 1 product. 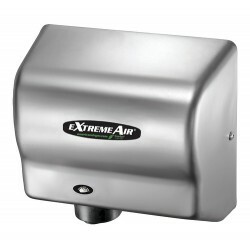 The GXT model in our EXTREMEAIR series dries hands in 10 plus seconds. It uses 80% less energy than conventional hand dryers, costing approximately $0.42 per 1,000 hand dryings.